We’ve all heard of the ‘should you be friends with your ex on social media’ debate. It’s a risky decision — there might be photos of a new flame, posts about single life or the dreaded relationship status change. But what we don’t hear that much about is whether or not it’s a good idea to befriend your current other half in the digital world. You might think — why not? Afterall, social media is a part of everyday life. But it turns out there’s a split debate and it may be worth thinking twice before accepting a friend request from your significant other. 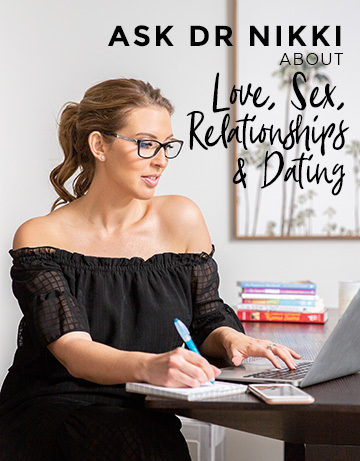 According to Dr Nikki Goldstein, sexologist, relationship expert and author of Single But Dating, it takes time for a sense of security to develop, which means if you’re new into a relationship, avoid merging your virtual worlds. “If it’s a new relationship, you need to get to know the person, not the perception of what they project online,” Goldstein said. Goldstein suggests if you’re looking at past photos, following up on their comments or wondering about their newest Instagram follower, it’s time to ‘unfriend’ and have a conversation with your partner to break down communication barriers. “Maybe they’re not replying to your text message but they’ve just ‘checked in’ somewhere, and you’re thinking, ‘hang on a minute, you’ve got time to check in but you don’t have time to call me back’ — these are all things in a new relationship that can really send you crazy,” Goldstein said. Goldstein also suggests not jumping to conclusions about your partner’s decision to keep your relationship off social media, keeping in mind respect and privacy. “Some people want to protect their relationship and that’s where you have to think more on the optimistic side — think that maybe they don’t want comments from everybody, or everybody giving their opinion on what’s going on in the relationship,” Goldstein said. Make sure you actually live your relationship for you not for the validation of the people around you. While you may see things on your partner’s social media that might invoke a sense of paranoia, keeping your digital lives separate can also cause conflict within the relationship. As psychologist and dating expert, Melanie Schilling reveals, excluding your partner is like never taking them as your plus one to events. “Just think about what it means to include your partner in your digital world, and more importantly, what it means to exclude them — it can signal ‘I don’t trust you’ or ‘you are not worthy of being in my inner circle’,” Schilling said. If you do choose to keep your relationship sans social media, Schilling suggests staying connected on messaging apps or platforms like email, or choosing a new platform to explore and experiment with together. Alternatively, remember the way we used to tell people what we were up to before Facebook was invented? Talk to each other! (Ringing any bells?) Don’t send your partner the filtered, angled photos we splash on social media sites, call them and talk about your day. While it may seem impossible to keep your new love completely separate from the digital world, Goldstein and Schilling believe all couples, whether they choose to share their lives on social media or not, must be mindful of their relationship in the real world. “It’s really important that, regardless of how they choose to use social media, that couples can be real with each other and communicate authentically when the filters are off,” said Schilling. Likewise, Goldstein recommends focusing on how your relationship works for you and not for ‘likes’ of your virtual buddies. Living your relationship for you and not for social media? Now there’s some ‘relationship goals’ we should all be aiming for.